The Precept is that element of your Council Tax that is paid to Rushden Town Council. Every year, the Town Council draws up budgets and calculates how much money it needs for the next Financial Year. These are usually finalised at the January Full Council meeting and then submitted to East Northamptonshire District Council (ENC). 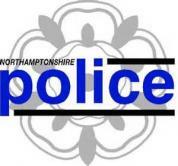 ENC co-ordinates the other demands from Northamptonshire County Council, the Police and themselves and come up with the rate to be paid from 1st April of that year. A list of Rushden Town Council's current list of contracts awarded, along with their values can be found below. This complies with the Local Government Transparency Code. Here you can find details of Expenditure over £500. Here you can find details of any invitations to tender for contracts to provide goods and/or services with a value exceeding £5,000. At present there are no tenders to display.